“How do you like Zimbabwe so far?” asked Lincoln Mtemeri, a rising junior at Arizona State University, when I arrived at Education Matters offices in Harare before we headed to Chengeta Lodge where the 2017 USAP Forum was held. In my disoriented state, following a 16-hour bus ride from Blantyre to Harare, I fumbled for words that I could use to relay my response. At this moment, I had already strolled through a section of downtown Harare and had already sampled riding on a kombi – thanks to my College of Wooster brother Norman Chamusah. For this reason, after seconds of contemplation, the best response I could come up with was simply “Zimbabwe feels like home.” As per the theme of this year’s forum, by attending, I did really go HOME. Looking back at the four glorious days that I spent in Zimbabwe, June 16 – 19, I can say without a shadow of a doubt that Zimbabwe did really feel like home. Whether walking downtown Harare or hanging out with fellow USAPers, the atmosphere felt authentic and familiar, which helped me to lower my guard and integrate more – much more than I did when I attended my first USAP Forum back in 2012 at the University of Chicago. The amazing hospitality and friendliness that was accorded to me by my fellow USAPers in Zimbabwe was second to none. As the only alum from USAP Malawi, at no point did I feel like the “other.” To me, this was a clear manifestation of what USAP Forums are about and in essence what USAP is about. That is, we yearn to create long lasting bonds and networks among USAPers from different years and nationalities. For example, before traveling to this Torum, I could only count on Norman and Mai Mano as the Zimbabweans I really knew and could trust. But by the time I was heading back on the bus to Malawi, the list of Zimbabweans I count as brothers and sisters and can rely on had grown exponentially. The next time I find an opportunity to visit Zimbabwe, hesitation will be the last thing to come to my mind, for I know that I would be welcomed again by my USAP family. Aside from the new friends that I made, the 2017 USAP Forum stands out to me because of the inspiration I drew from different impactful initiatives that fellow USAPers have started and are involved in. This included the legendary USAPostoles, fresh graduates such as Ngoni Mugwisi, and undergrad students like Alpha Ngwenya. I left Zimbabwe with a strong conviction that USAP is a family of individuals with boundless abilities and a passion to make change on our continent. In addition to impactful initiatives, I was also fascinated by how USAP alumni in Zimbabwe are committed towards sustaining the USAP program thereby ensuring that the program continues to benefit upcoming students who have ambitions to study abroad. I believe that this level of commitment and dedication has the ability to inspire current USAP students to remember their respective home countries as they pursue their academics. 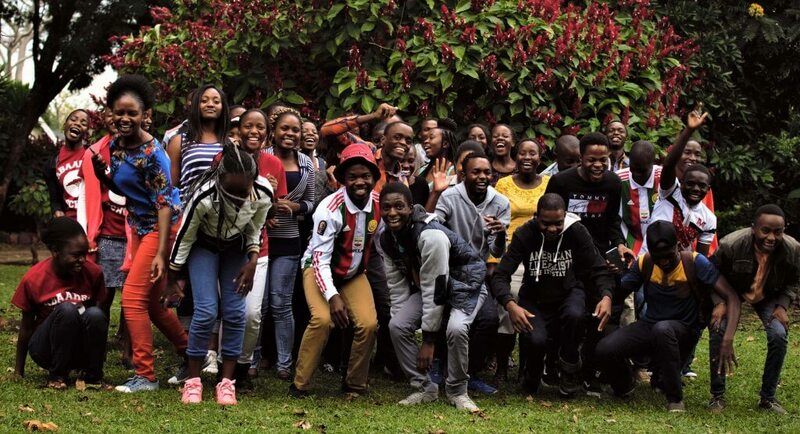 Most importantly, the commitment and dedication that I observed in Zimbabwe set a good example to USAP alumni from other countries (myself included) on the role that alumni can play to sustain the program and make it more vibrant. And that is exactly what I intend to do in my home country Malawi. Thank you Zimbabwe! Thank you USAP! Written by Limbani Kamanga, USAP Malawi alumni who attended College of Wooster. Limbani lives in Malawi where he currently works for the One Acre Fund.